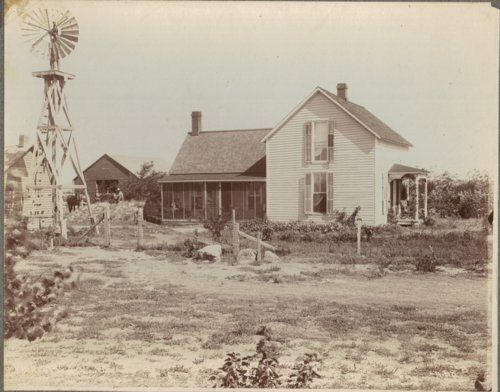 This is a photograph of Thomas Bishop Albin's farmhouse and outbuildings located near Grainfield, Kansas. Thomas Bishop Albin is seated in the screened porch and either Ed or Fred Albin is seated on the dirt cellar. Visible in the photograph is a windmill.